What's better than one burger? A stack of two juicy patties. 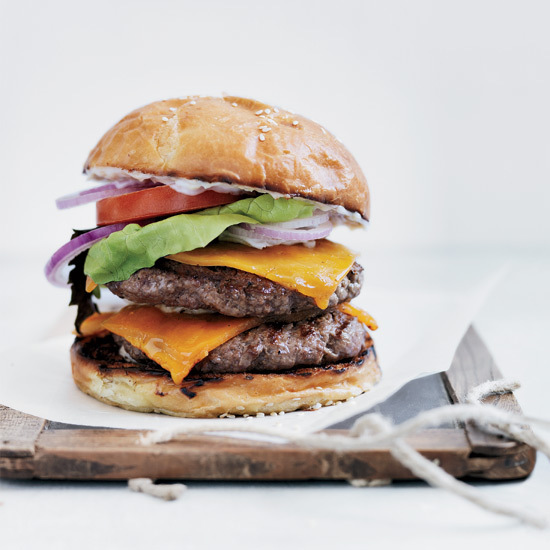 Here, five epic ways to celebrate National Cheeseburger Day. Toasted sesame seeds in the mayo and fresh shiso leaves on top of the lettuce give these delicious burgers an Asian twist. 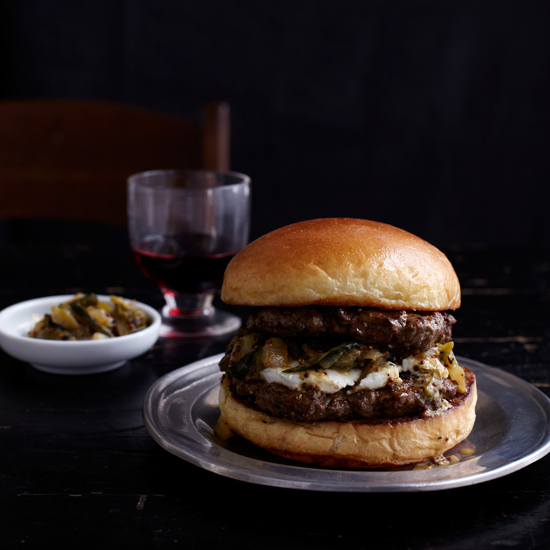 A layer of warm, gooey goat cheese and grilled chile relish is sandwiched between two juicy patties. 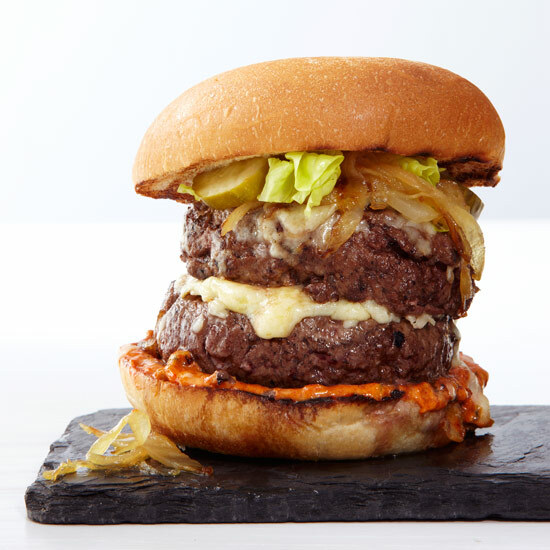 This over-the-top burger is topped with a mix of shredded cheddar and Gruyère. 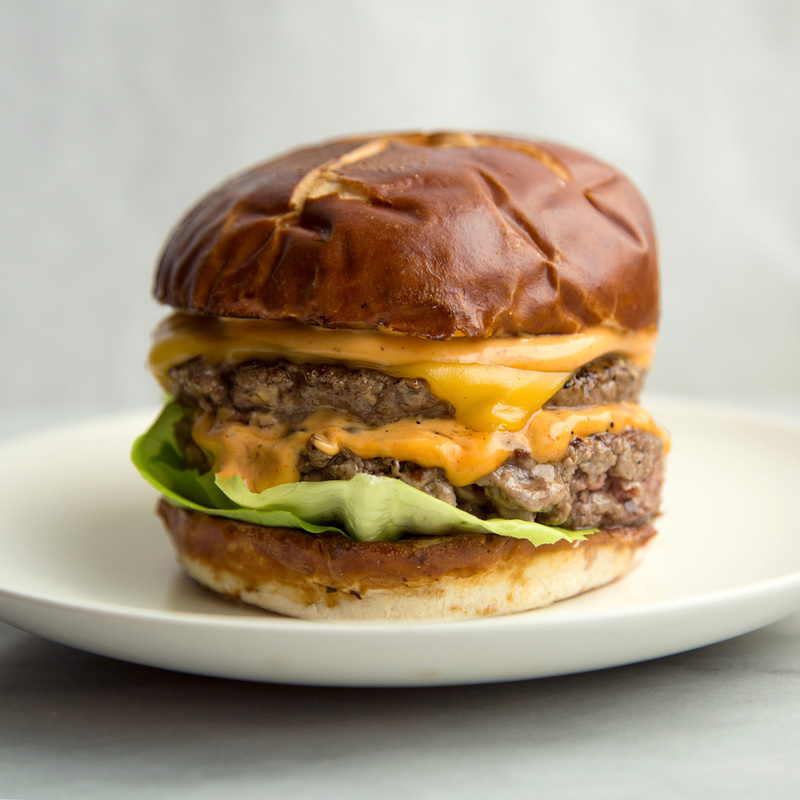 For that perfect juicy-on-the-inside and crispy-on-the-outside burger patty, head educational butcher at Fleishers' Craft Butchery in New York City, Bryan Mayer, suggests keeping your uncooked patties extra cold and only salting them right before they hit the heat. 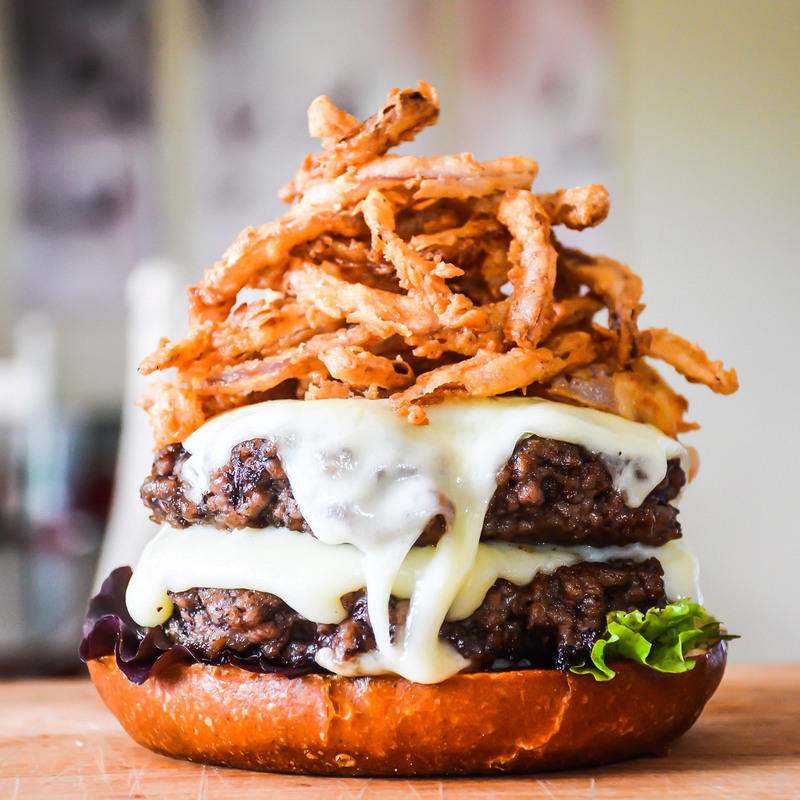 This over-the-top burger is topped with fried shoestring onions.